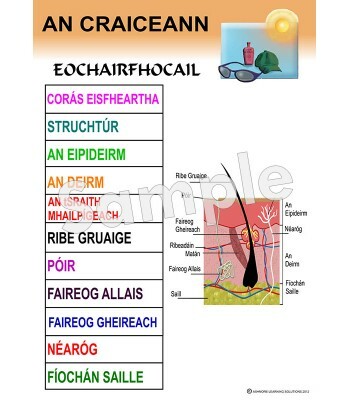 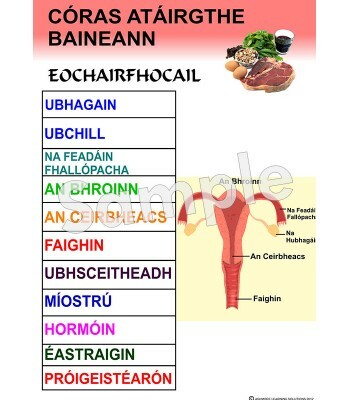 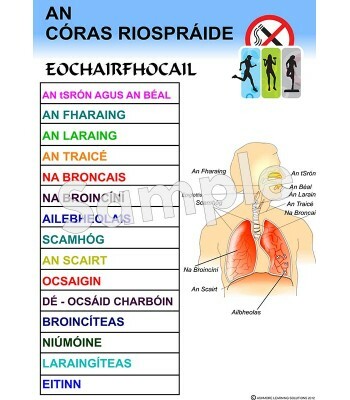 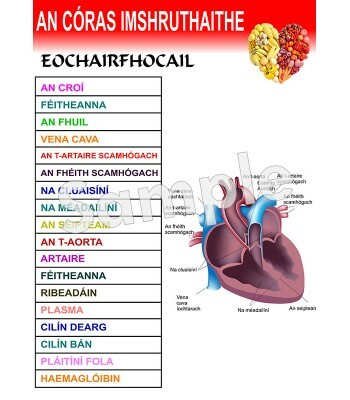 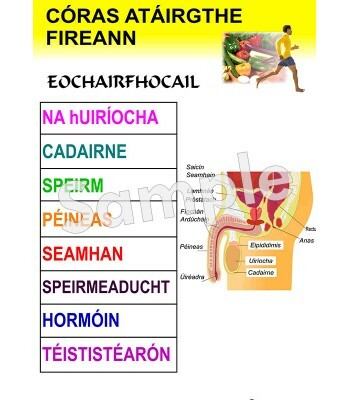 Physiology posters and jigsaws translated into Irish. 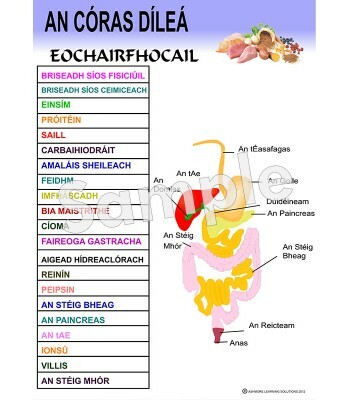 They contain Keywords and clear Graphics in relation to each of the following: The Skin, Teeth, Circulatory System, Respiratory System, Digestive System, Male Reproductive System and Female Reproductive System. 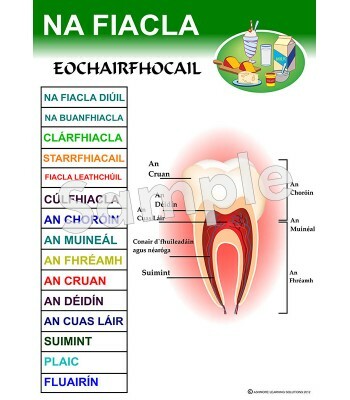 These Educational resources are ideal wallcharts in classrooms, and also as a student handout to aid learning and literacy skills.